The life hack has spawned countless blog posts and click bait promising you ways to use things you already own to make your world run more smoothly. The problem is, many of these “life hacks” are more akin to “pinterest fails” that cause you to work harder than you need to. I recently fell for some click bait on Facebook with the title “Be the one with all the answers thanks to these 11+ Lifehacks” over on Diply. After scrolling through, I realized most of these life hacks were actually pretty stupid. Since I was feeling a little snarky, here are some life hacks NOT to adopt and a few actually useful ones. 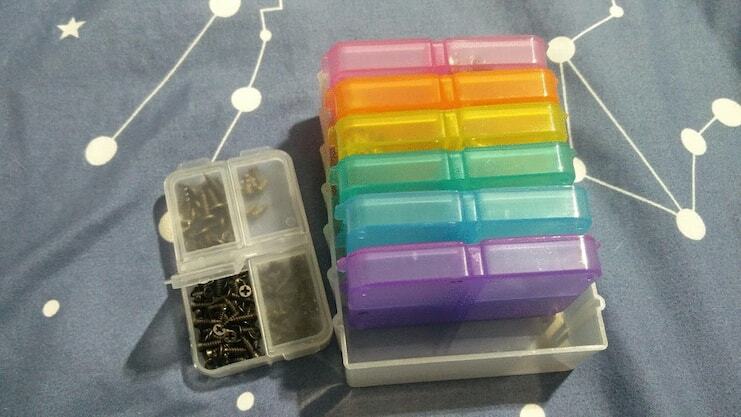 Pill organizers are just not that big, and you have to open every individual door to see what’s in there. Not an efficient life hack at all. You could buy an actual small parts organizer, which would allow you to see everything all laid out. I use one for my picture hanging supplies, miscellaneous screws, and my jewelry. 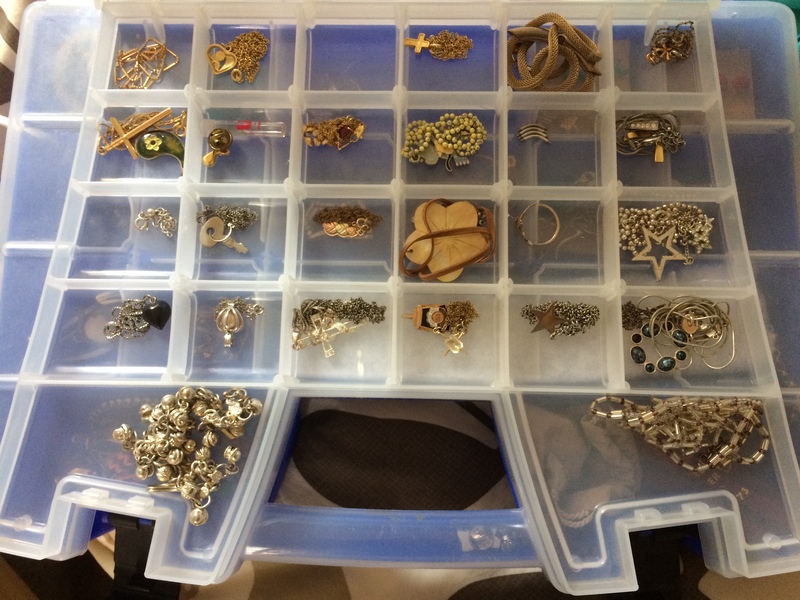 My jewelry organizer is actually a tackle box with a handle and heavy-duty clicky flaps so I can shove it under my bed and not worry about it opening. I also keep ice cube trays in my vanity to sort jewelry I wear more frequently. Reinforce the top of your blinds using a bread tab, then reinstall. Who the FLIP eats enough bread and hoards the tabs to have them handy to repair blinds?! Whenever you move into a new apartment or house, immediately take photos of everything, especially anything that is obviously broken or has the potential to become so. Forward the pictures to your landlord so there is documentation and keep copies for yourself. This protects you on move-out from having to pay for damage you didn’t cause. Read your lease closely; a friend of mine recently moved out of a rental home and discovered the landlord wanted them to power wash the exterior, professionally wash the carpets, and re-mulch the landscaping. It was obvious that none of that had not been done on move-in, but none of the roommates hadn’t taken any pictures to prove that the dirt wasn’t theirs. If your cheap plastic blinds do break, you can buy vertical blind repair tabs on Amazon or any hardware store. Don’t hoard your bread tabs. But if you do, don’t keep them in a pill organizer. 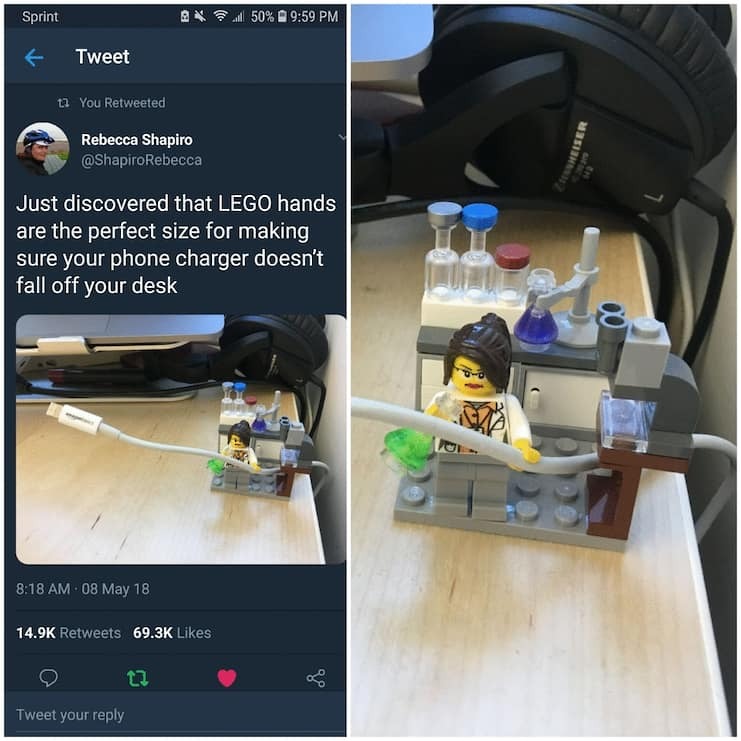 Lego hands are perfect for charging cords! Yes, it’s cute to have a Lego guy glued to your desk to hold a charging cord. But then you have to probably go buy a Lego guy to glue down. Binder clip photo credit: WIRED. An actual life hack I’ve used is binder clips (assuming your desk is skinny enough). I’ve also used 3M Command mini hooks (the tiny kind you use for Christmas lights). I use the clear ones on the side of my desk and nightstands to tuck cords in place, and they don’t damage anything. Can you imagine how stupid hard it would be to get the butter EXACTLY IN THE MIDDLE OF THE STRAW and not get your hands totally sticky and hold up the whole line of popcorn butter goers behind you? Also, wouldn’t you just be filling the bottom of your bag with butter that will leak through on your pants? I don’t have a snarky response life hack to make this better, but I do think this one is super moronic. Also, you shouldn’t put that much butter on your popcorn, as a large movie theater popcorn with added buttery topping can pack as much as 1,600 calories and 113 grams of fat, according to registered dietician Jill Corleone over at LiveStrong. And let’s be honest, most of us don’t share very well and eat the whole bag ourselves. 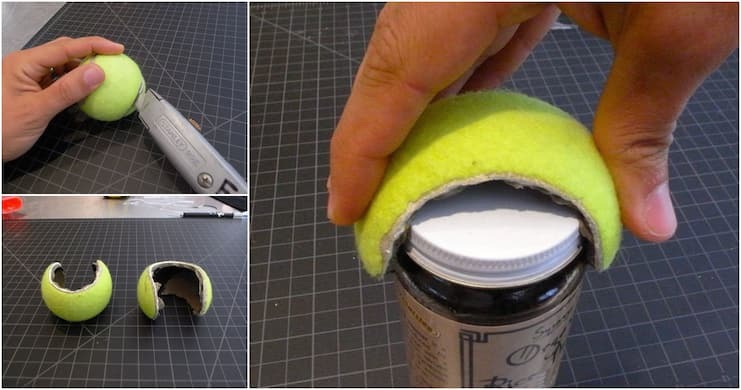 This works great, if you have a jar smaller than a tennis ball. Also if you don’t slice your fingers open trying to cut the tennis ball. Also, if you have a clean tennis ball in your house and don’t have to go out and buy a tennis ball (all my tennis balls are remarkably dog-slobbery). If only someone had invented something that would help us open jars…like, a jar opener…OH WAIT. But actually, don’t buy anything actually labeled “jar opener.” Buy a rubber strap wrench. I promise, you won’t regret it. It uses torque instead of the strength of your hand. They are actually more of a plumber’s tool than a chef’s, but it’s worth it. Make a “quick and dirty tracing table” out of a cutting board and a lamp! First of all, who needs a “quick and dirty tracing table”? I have never in my adult life needed such a thing on short notice and had to engineer a life hack for it. If you really need such a thing, you can get an USB-powered light table on Amazon for less than $20. I would much rather spend $20 than try create a DIY one. However, the Reddit thread about this cutting board + lamp hack is worth the read. 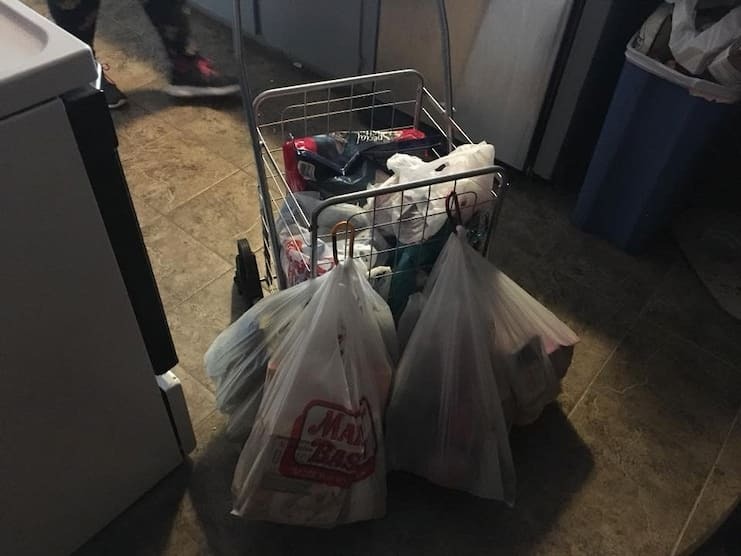 When I first saw this life hack, I pictured how many times I would go to take my purse out of the cart and get yanked back because I forgot I had clipped it to the cart. Pretty sure I’d damage a few purse straps that way. I also wondered how often this actually happens; I literally have never met anyone who had their purse stolen from their cart. But then I googled it, and apparently it is a pretty easy, logical theft. I am just sheltered. I am a huge fan of the carabiner though. I have one on my car keys, and I clip them to my purse (so I don’t have to dig for them). I can also clip my keys to my shopping cart and to my belt loop easily. I guess keeping an extra on my purse is painless and doable. Pretty much every set of keys has a carabiner in our house. 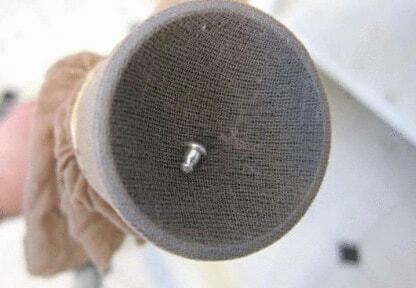 Ahh, the old pantyhose-on-the-vacuum trick. Except that this would ONLY work to catch small things, because you won’t be vacuuming anything else with a pantyhose on the vacuum hose. Probably if you’re “always looking for random things” in your carpet, you should reevaluate where you do your small-piece work. 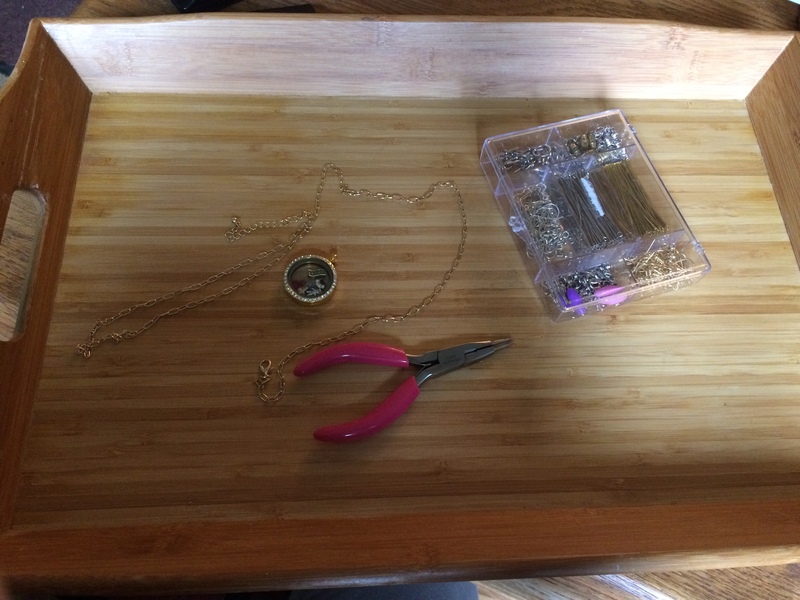 “>serving tray so beads and such don’t go rolling around off the table. It also makes it easy to pick up what I’m working on and move it, which actually IS a useful life hack. Also, a jewelry repair kit has saved my jewelry from numerous toddler mishaps. If you are dumping food you KNOW is “juicy” — like, you bought that discount chicken in the deli and didn’t make it in time and now you’re not sure it’s still good (been there…) — then put it in a plastic bag and take it IMMEDIATELY to your trash bin or dumpster. Do NOT leave it in your house to smell gross. If trash day isn’t tomorrow, stick it in the freezer until trash day and throw it out right before you take your can to the curb. I used to use a styrofoam cup but that had a tendency to melt with bacon grease…! 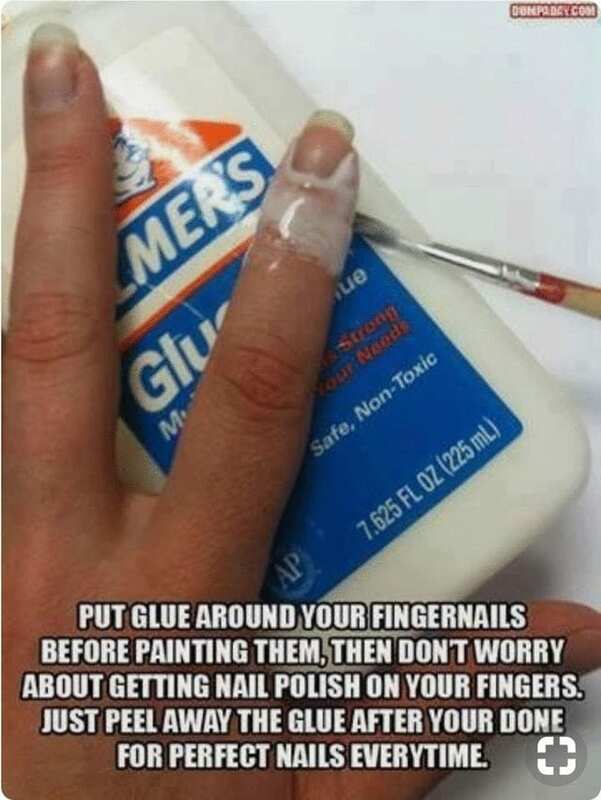 Paint your whole finger with glue. Carefully peel off the glue that got on your nail without messing up the other glue on your skin. Carefully peel off the glue. I know manicures are expensive and they’re not my thing, but if you are detail-oriented enough to try the glue hack then it seems like a good plan. Or do like we all did in middle school, and invite a friend over for drinks and do your nails for you (but not in that order!). Check out more of my Life101 Adulting series or head over to my teaching or family section for more hELArious writing! You can become a subscriber on the sidebar!